There’s nothing that angers fishers more than a fish kill. As passionate West Aussie fishers, we have not been immune to fish kills that have resulted in losing large numbers of important recreational species in recent memory. The most recent kill though, is outside of WA, but should act as a reminder to everyone that appropriate management is required for all of our waterways if we are to avoid what is currently taking place in the Murray-Darling system in Victoria and New South Wales. 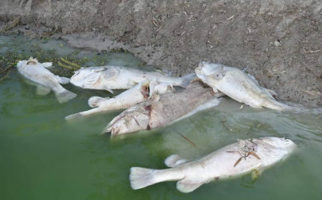 Thousands of iconic Murray cod have perished as water levels have dropped to critical levels following water extraction for many uses throughout the system. Management that provides a balance between competing uses is critical to ensuring environmental flows that sustain our pastime. Although we don’t have river systems as large as the Murray-Darling in WA, the same principle applies to protect our trout, marron and redfin fisheries, which attract tens of thousands of fishers to the south-west region each year.